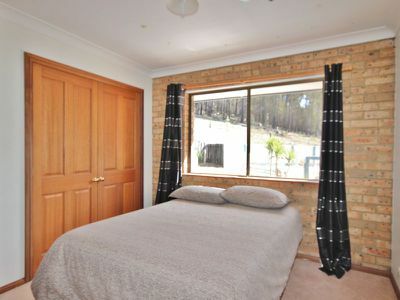 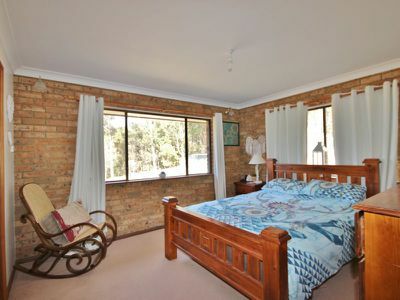 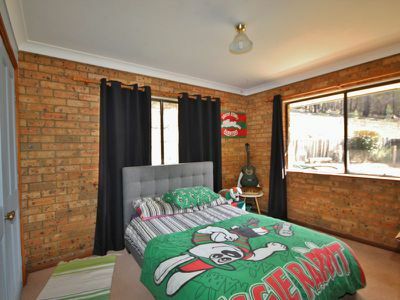 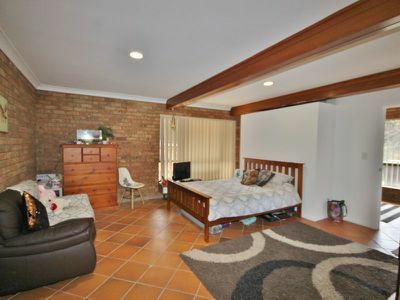 Very impressive 4 bedroom double brick home set on 2.2 ha (5.5 acres) only 10 minutes from Eden. 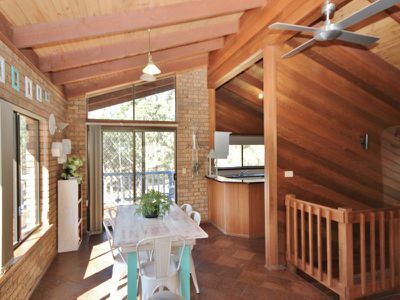 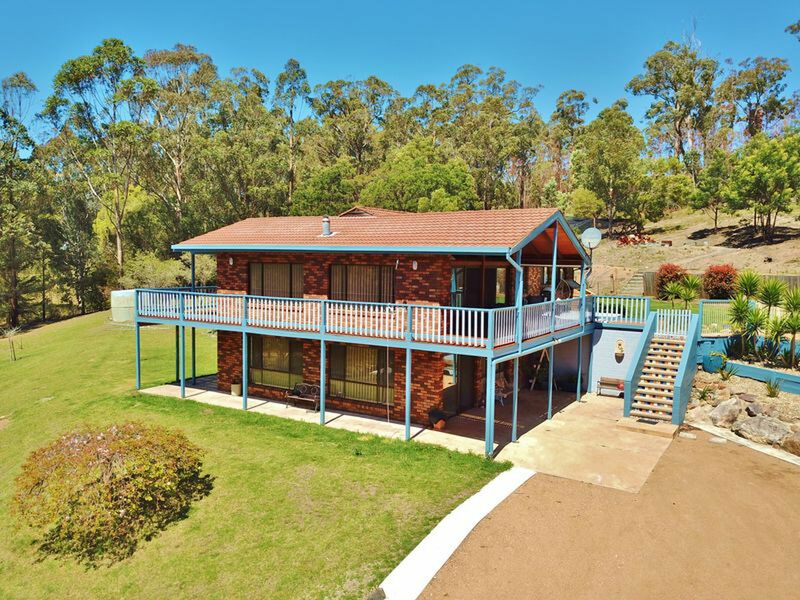 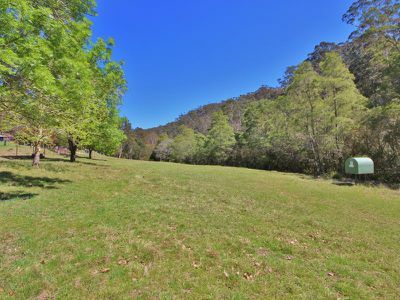 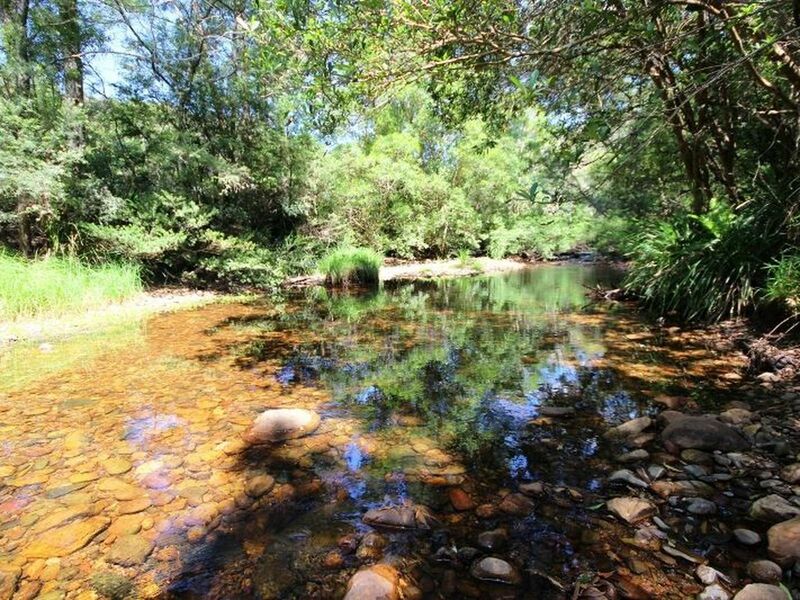 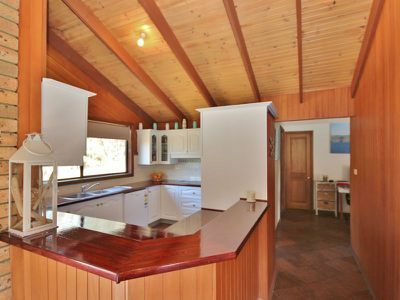 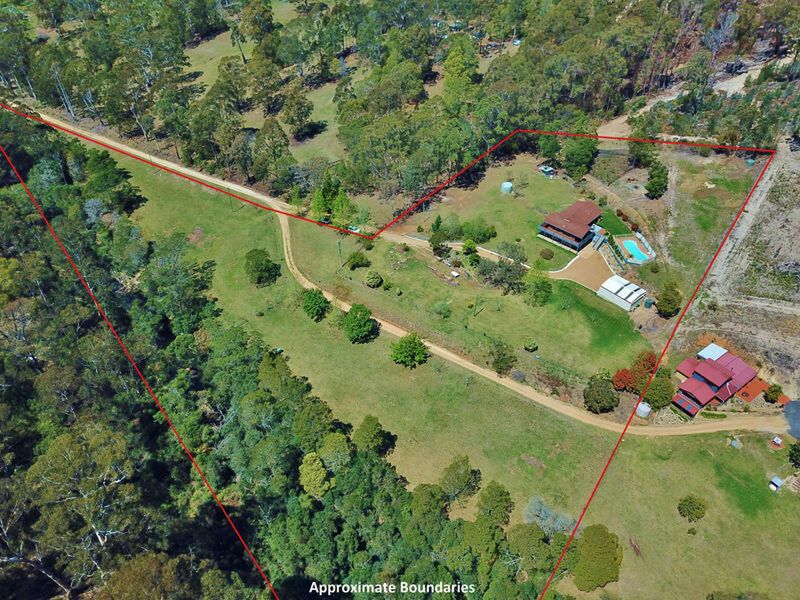 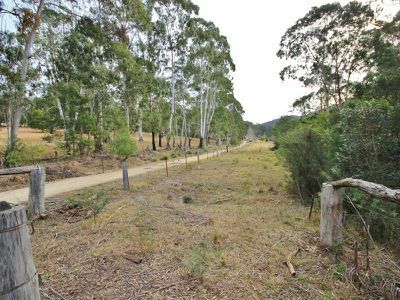 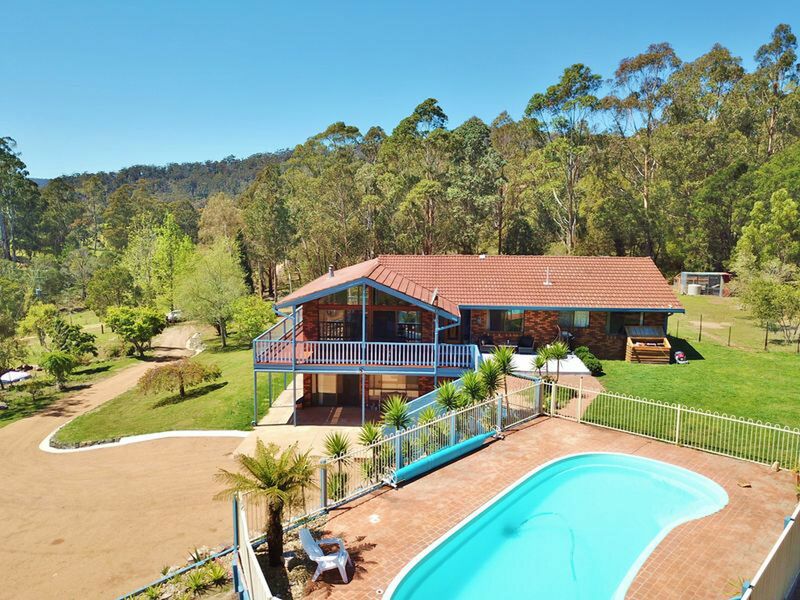 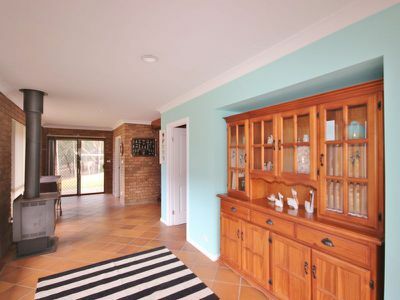 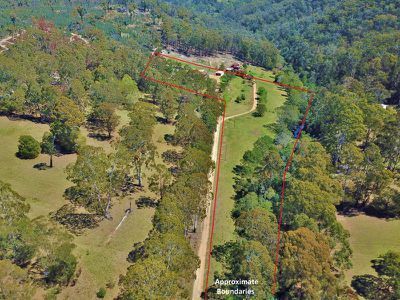 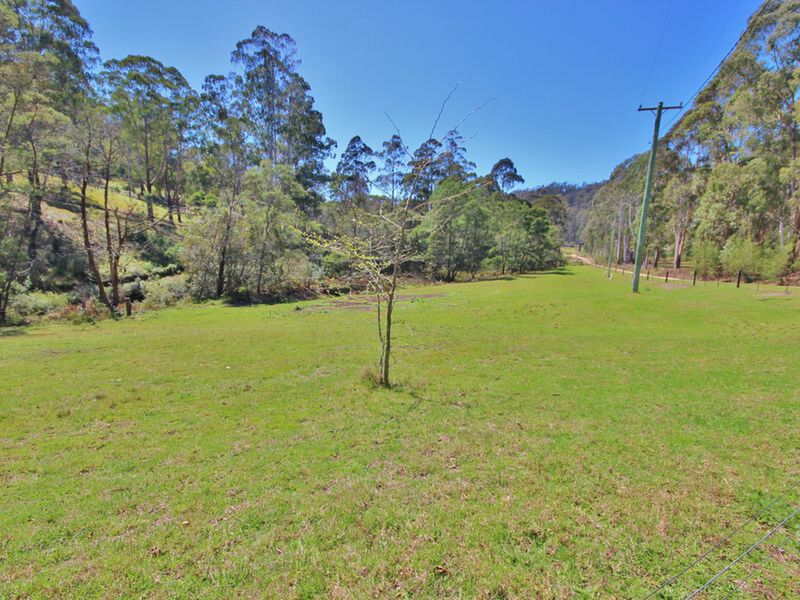 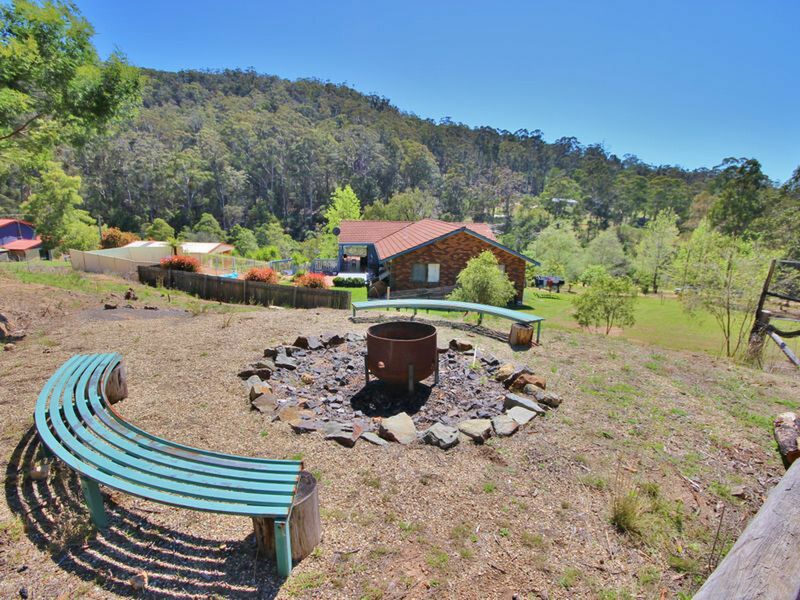 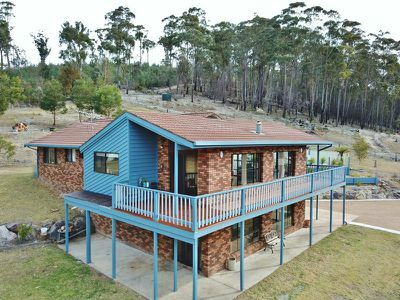 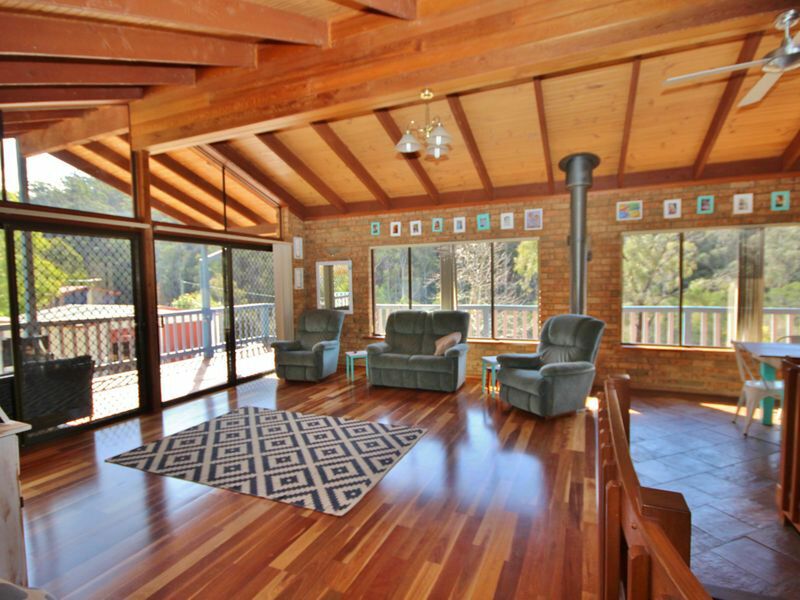 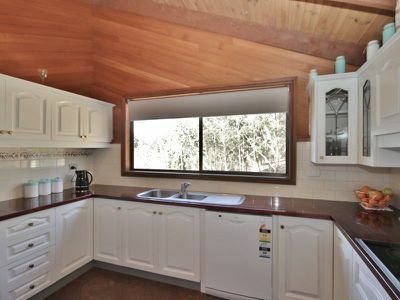 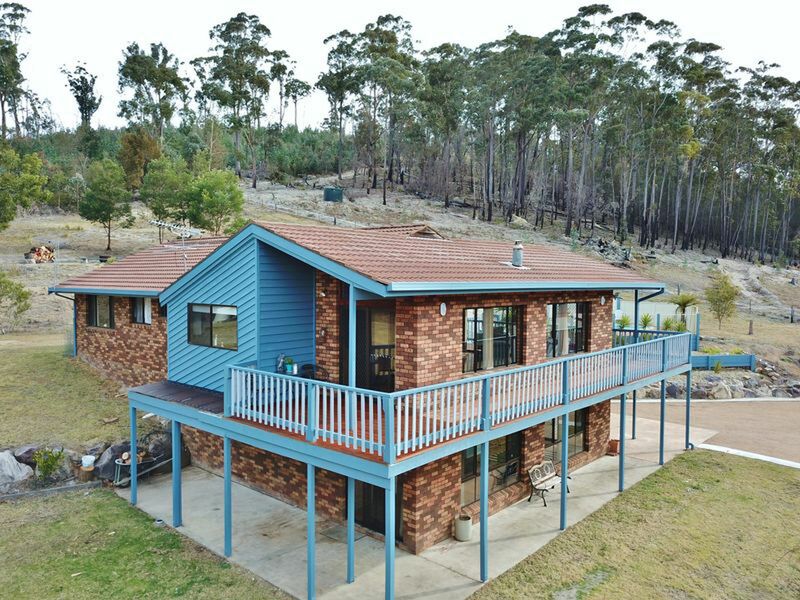 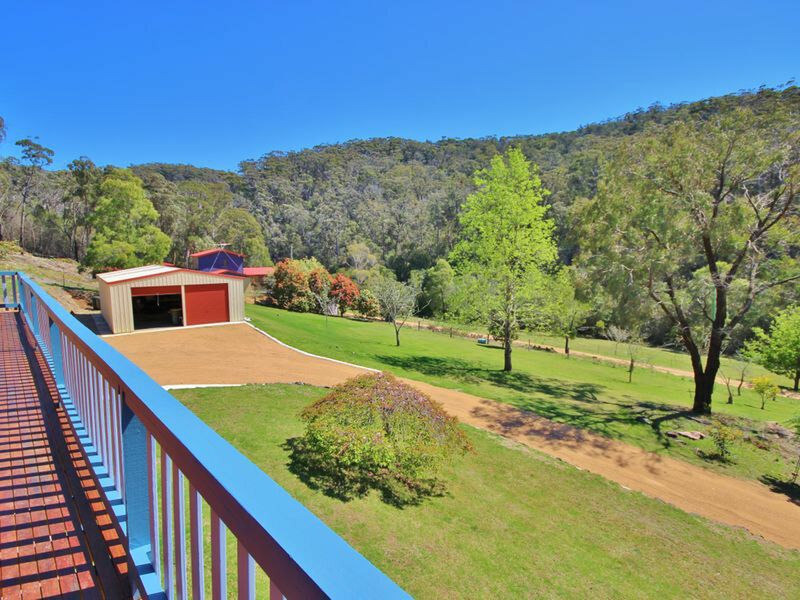 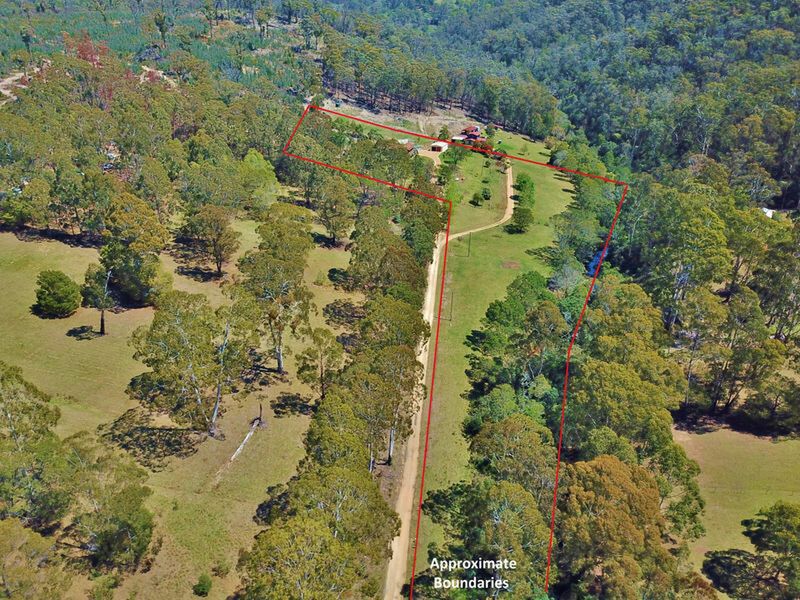 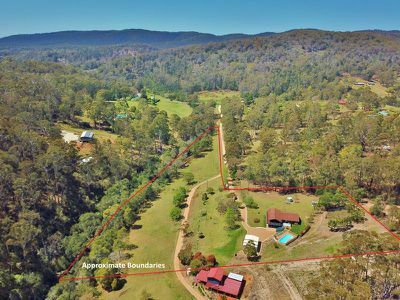 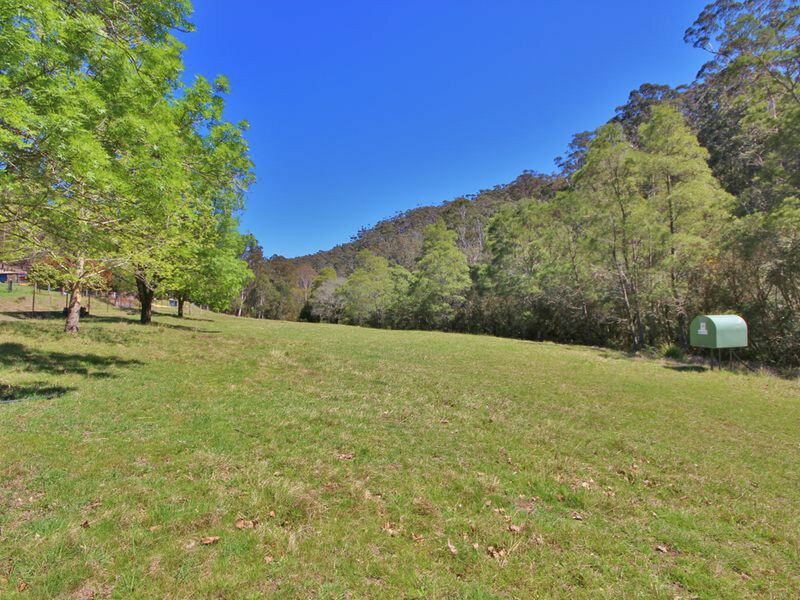 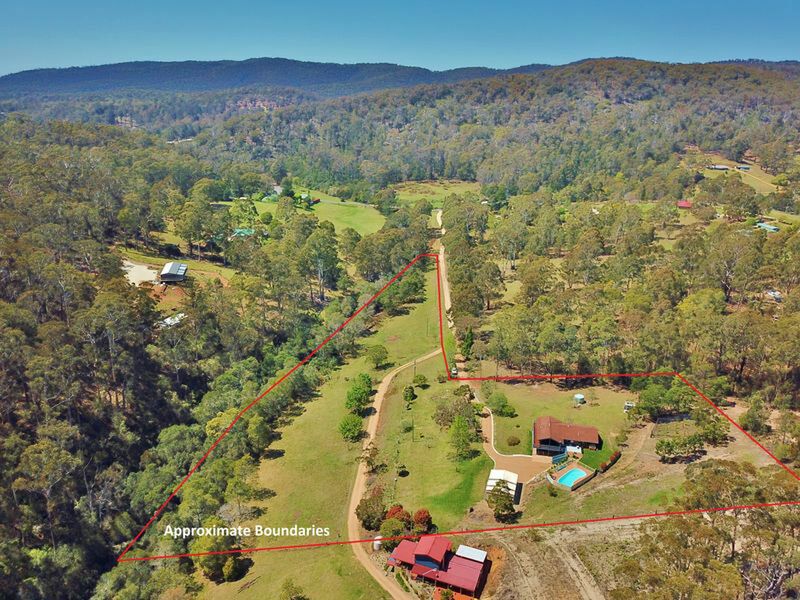 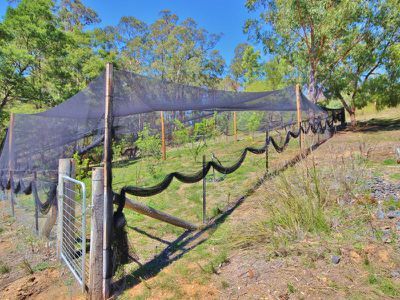 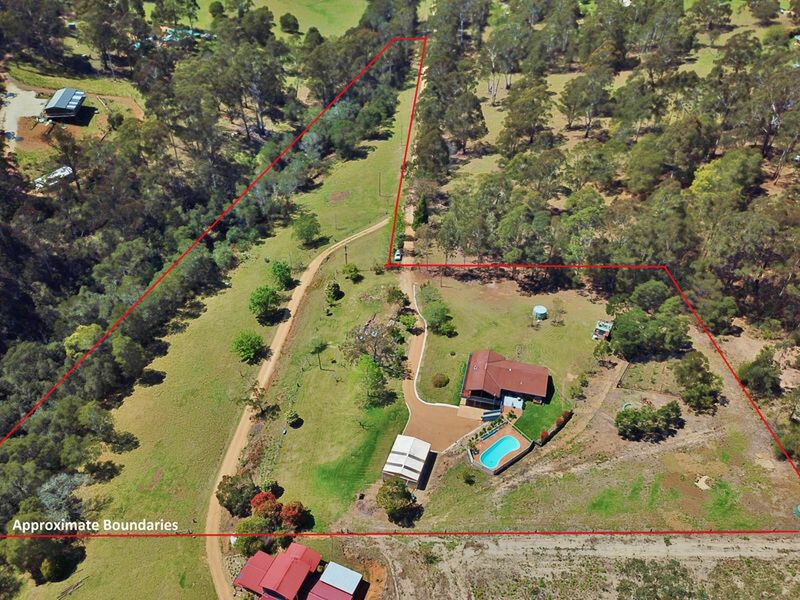 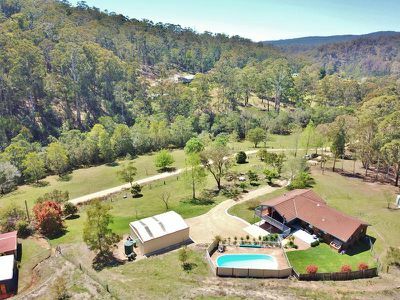 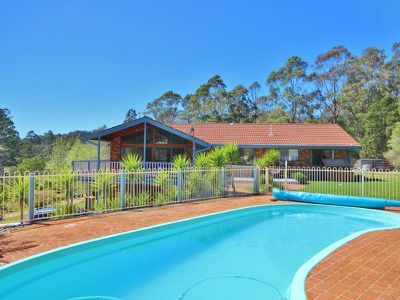 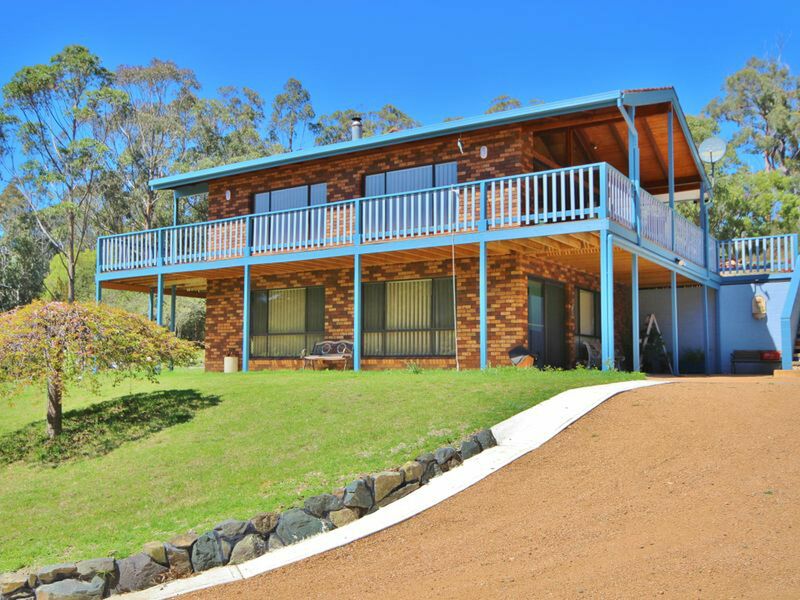 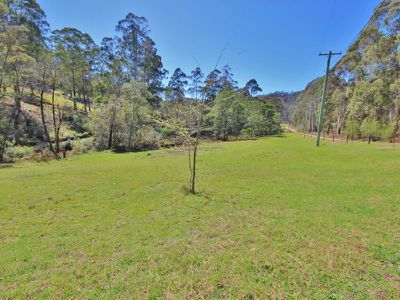 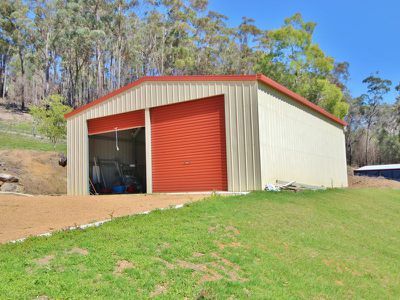 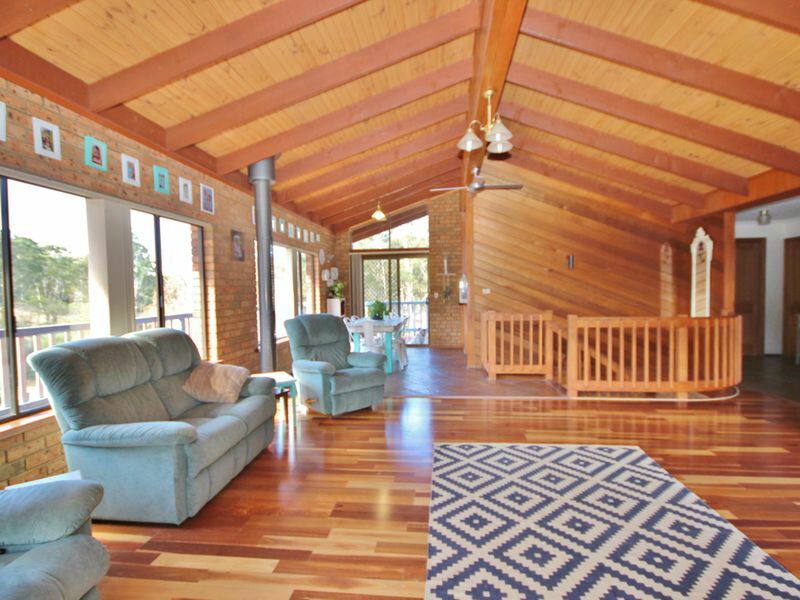 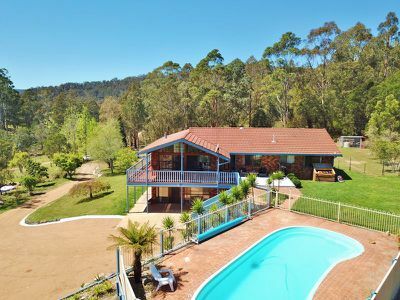 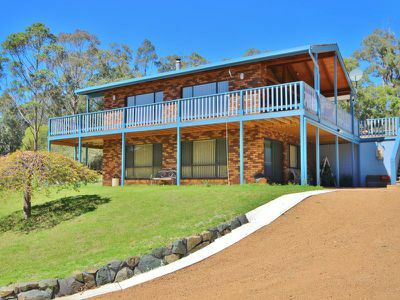 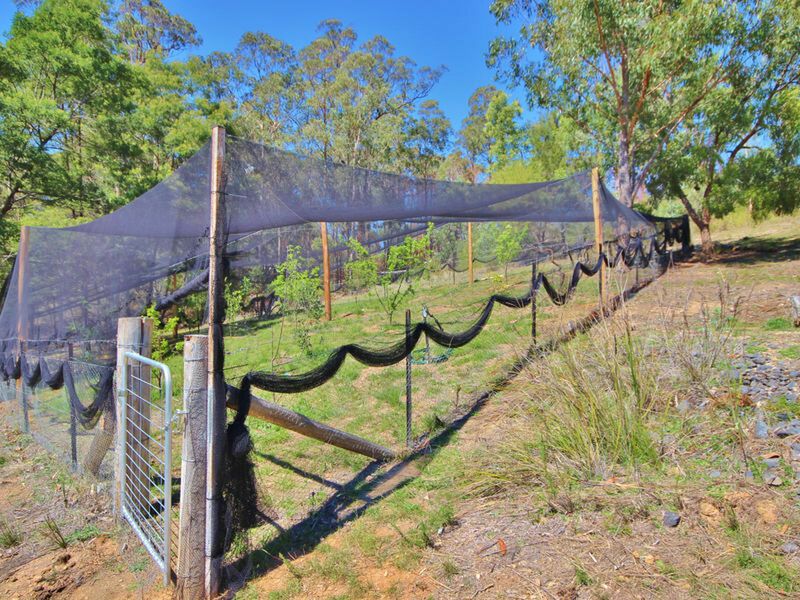 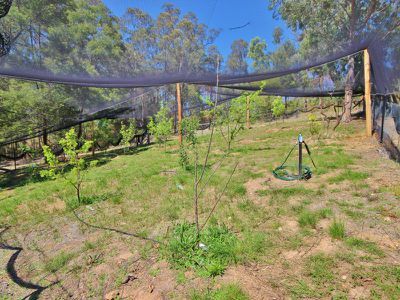 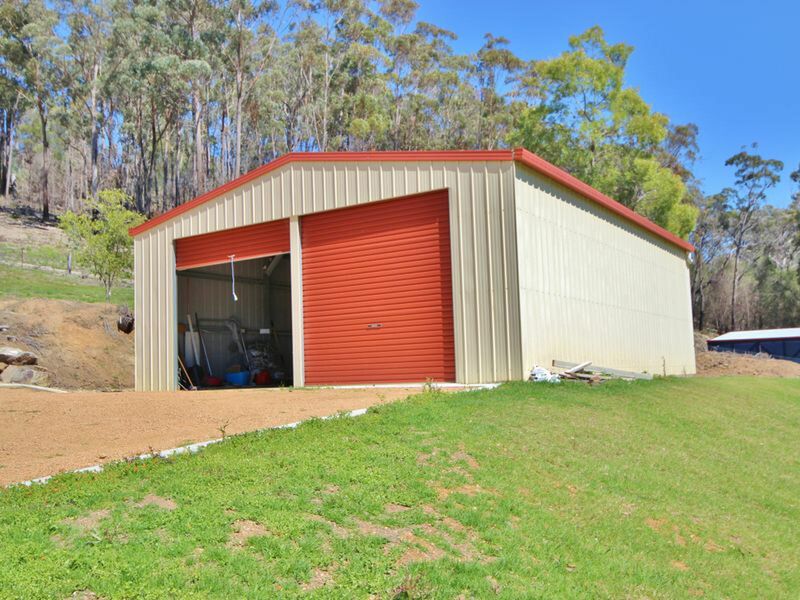 This delightful property is privately nestled in a sheltered valley fronting a permanent creek (Old Hut Creek), fully fenced and with several acres of fertile creek flats - ideal for a few horses or market gardens. 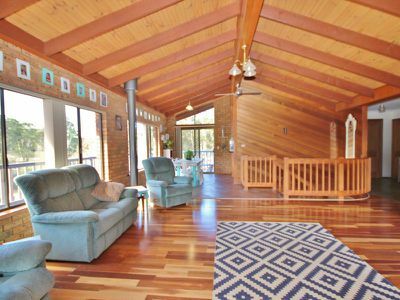 The home boasts a very spacious open plan living area with feature cedar lining, polished timber flooring & cathedral ceilings, well appointed kitchen, generous bedrooms with built-in robed, en-suite & walk-in robe to the master bedroom. 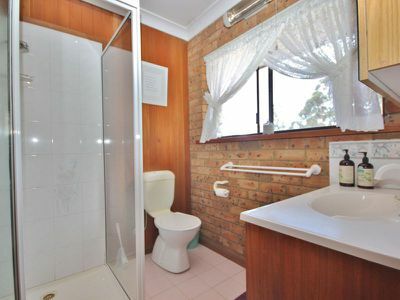 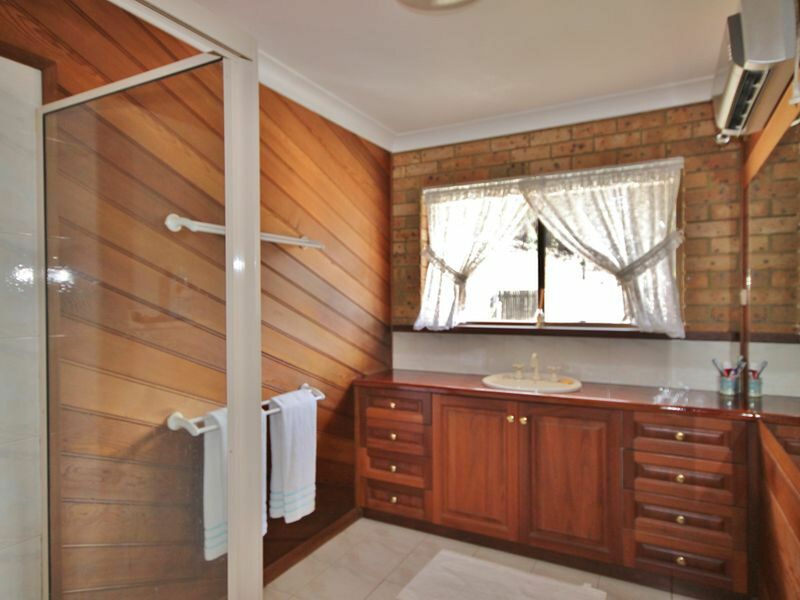 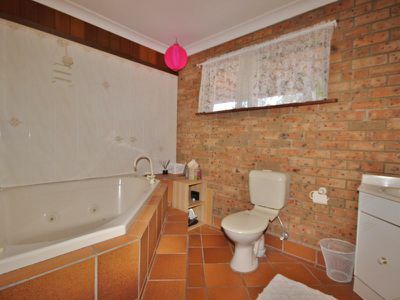 2nd bathroom with spa bath & rumpus area. 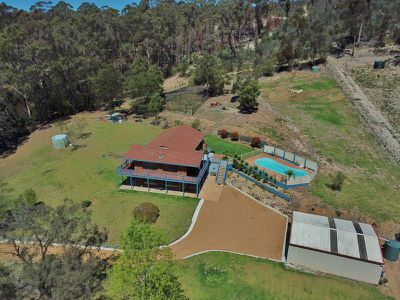 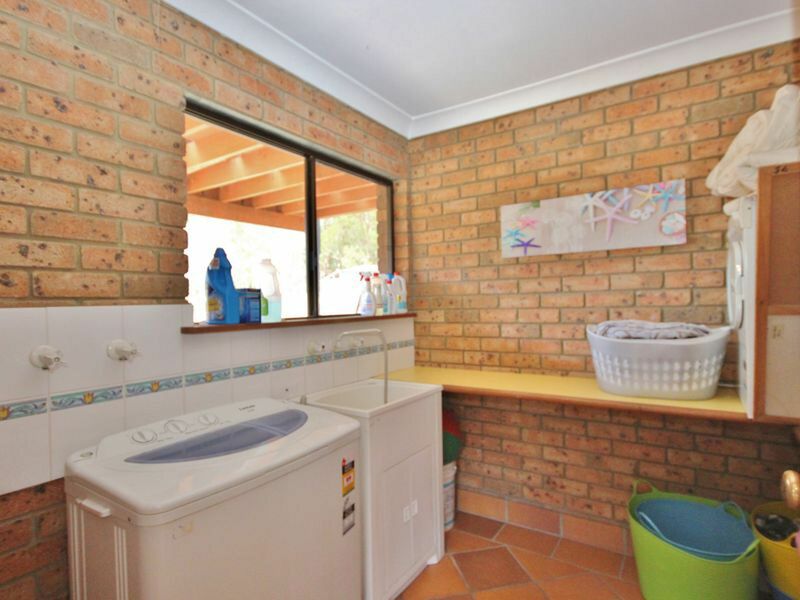 The landscaped yard includes an in-ground pool, detached 4 car garage/workshop, fire pit and chook pen. 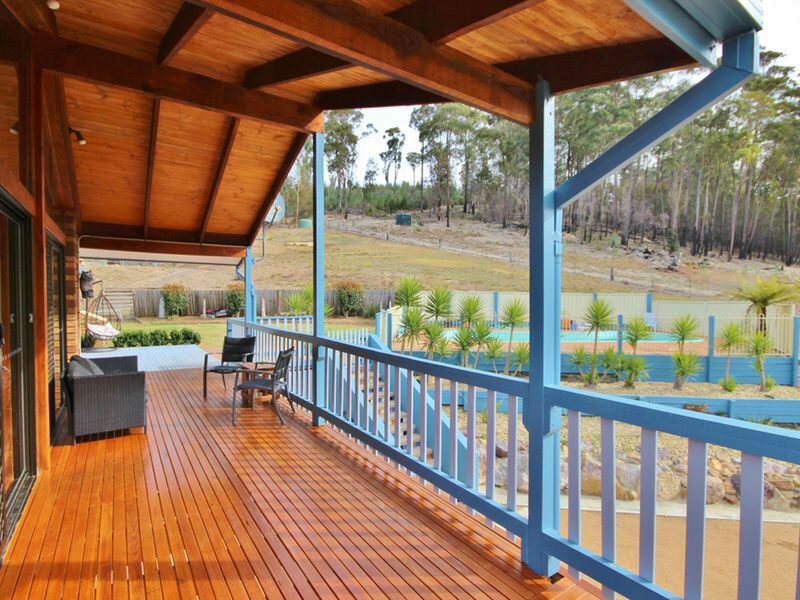 Invest in an ideal lifestyle!